Japanese Garden Using Oriental Design Principles, North Shore Sydney – Sandstone Boulders and Brick Paving and Pathways, Bridge, Water Feature, Water Bowl. 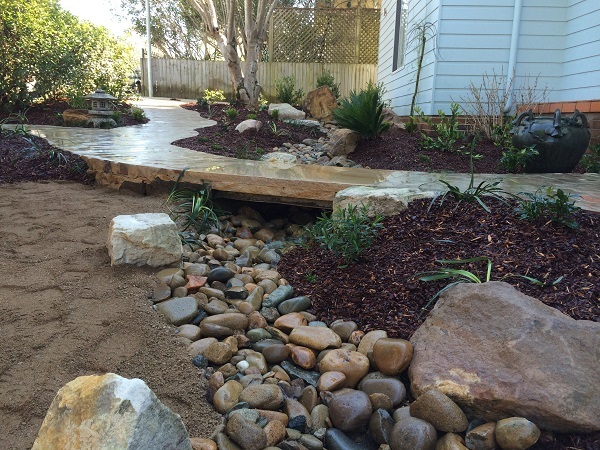 Japanese Landscape Design Sydney. Oriental Landscapers North Shore.